Ulti-Mate Connector, Inc is a leading manufacturer of lightweight, high density micro-miniature connectors and cable assemblies for the mil-aero, unmanned vehicle, space, and homeland security markets. The company’s expansive product line and component inventory assures rapid turn around of custom designed solutions with minimal or no tooling investment. A reputation for innovation and quality has placed Ulti-Mate connectors in many of the world’s most advanced missile systems, manned space and satellite vehicles, and guidance and navigation systems. 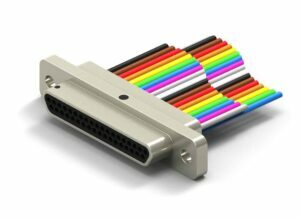 Ulti-Mate Connector was awarded the AS9100 Quality Standards certification in 2015. 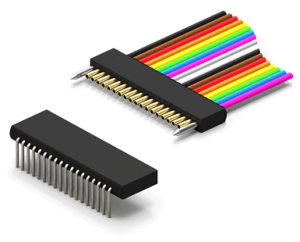 We manufacture an extensive range of high density, lightweight Nano connectors in both metal and plastic shells, in accordance with MIL-DTL-32139. In addition to our standard Aluminum, Stainless Steel, and Titanium shells, we also offer our full line of Nano connectors styles in fully-molded Liquid Crystal Polymer bodies – a cost effective alternative for applications that do not require grounding or shielding to metal shells. 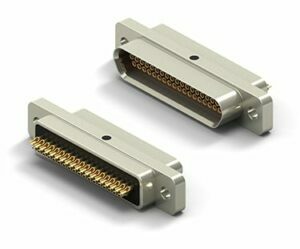 We manufacture both single- and dual-row Nano wired connectors, with single- or double-ended options. 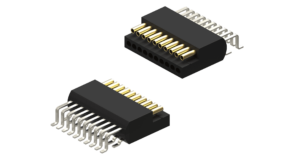 With an operating temperature range of −55 C to 200 C, our Nano wired connectors are available with 9 to 65 contacts, so can be specified for a range of unmanned applications. Our Military-grade, Mil-Spec Nano Circular connectors are designed for mission-critical board-to-wire applications. These In Line connectors offer superior mating and unmating performance, environmental resistance, and are manufactured to MIL-DTL-32139 requirements. 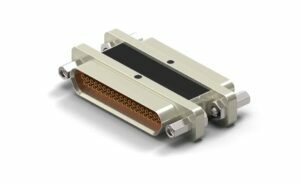 We design and manufacture a wide range of COTS and custom OEM precision engineered Micro-D Connectors, ideal for UAV and robotic applications that require high performance and assured reliability. Our Micro-D wired connectors are designed for critical, high reliability applications, such as UAVs, and are built to meet or exceed the specifications of MIL-DTL-83513. 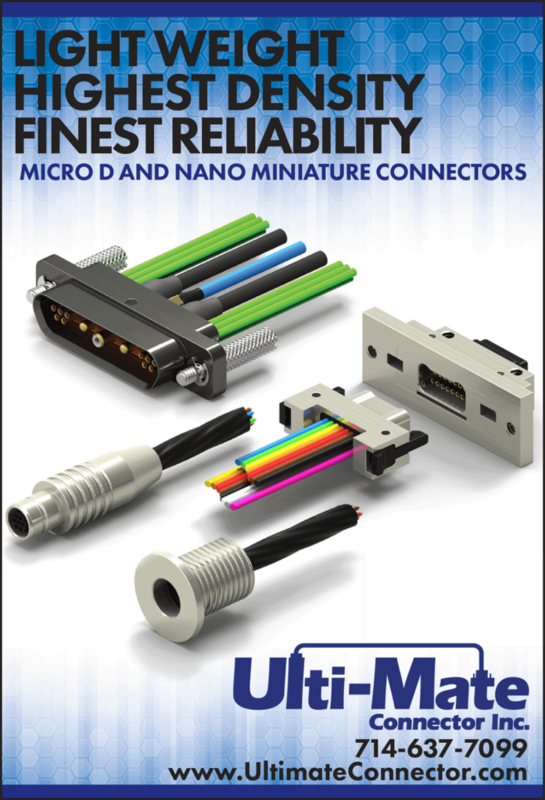 Ulti-Mate Micro-D wired connectors are available in a number of configurations, with either rugged metal shells or plastic shells in standard and low profiles. 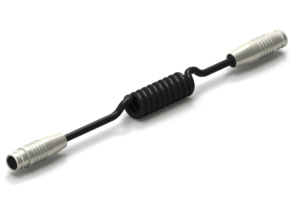 Our connectors are factory terminated to a wide selection of stranded or solid wire and solder cups for user termination. We offer a range of wire types and wire gauges in lengths to meet your application, and all configurations use the most advanced contact system in the industry. Ulti-Mate offers the widest variety of thru-hole solder tail Micro-D circuit connectors in the industry, with twelve styles currently available. 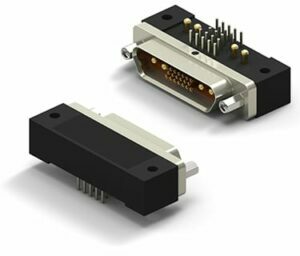 Our Circuit Series Micro-D Connectors are ideal for space-constrained applications, such as drone platforms. All have mating interfaces per MIL-DTL-83513 and 24 AWG (.020 dia.) exit leads. Styles 6, 16 and styles 8, and 18 are available in the Mil Spec. “M”, “B”, the narrower plastic “P” profile and its intermateable metal shell “A” series. The remaining Styles 1, 2, 4, 5, 7, 9, 17, and 19 are in accordance with MIL-DTL-83513 (“M” series only). Expandable tooling allows us to provide a large variety of Micro-D Combo connectors in many combinations of Micro, Coax, and Power contacts in any of our standard 2 row shells from size 5 to 65 positions. A Coax or a Power contact replaces 6 micro contacts. For example, a size 21 connector can have 2 power and 7 micro contacts. Coaxial contacts are for use with RG 178/U miniature cables. Operating temperatures range from −55 C to 200 C.
Wired Micro-D Combo connectors are available with metal or plastic shells, and Standard Profile PCB Circuit connectors can be manufactured with metal shells. 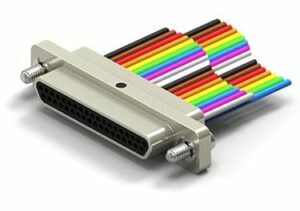 The plastic molded body of the 50 mil micro Strip connector is made to accommodate from 1 to 43 micro contacts. Available with Surface Mount, Vertical, Thru Hole or Right Angle Terminations, choose from guide pins, jackscrews, securing latch, mounting holes and six circuit termination styles, for a micro Strip connector that meets the requirements of your unmanned application. Micro-D Connector Savers are a “back to back” Pin to Socket configuration wired one to one – an ideal solution for cable assemblies or electronic enclosures that are subjected to excessive mating and un-mating during test or burn in cycles. Protects against excessive wear. Available in custom sizes with both metal and plastic shell configurations. 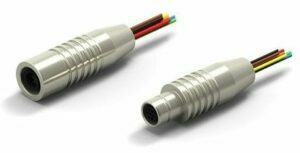 Our micro and ultra-miniature push-pull circular connectors offer rugged durability for SWaP-constrained unmanned applications, such as UAVs and ground robotics. All our micro circular connectors have precision machined metal shells and are available in the sizes 1, 2 and 3 layouts, with optional environmental sealing. A family of micro-miniature center jackscrew connectors. The JSB Series, is available with layouts of 10, 11, 26 and 35 contacts. The JSB Series has a full range of terminations including cable to cable, board to cable, board to board. 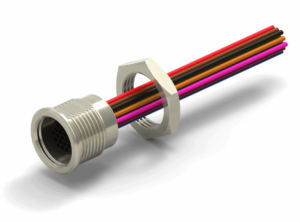 Our High Temperature connector solutions meet the harsh environmental requirements exceeding the normal requirements of Mil-DTL-83513. 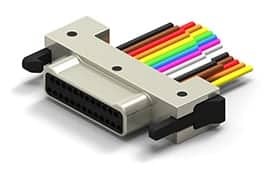 We offer connectors in wired and circuit board configurations to operate at 200 degrees Celsius. We utilize high temp materials that exceed your continuous working range. As a high-end cable assembly supplier to the Military, Commercial airframe, Medical and Communication industries let us put our expertise to work for you. We design, manufacture and test custom precision interconnect turnkey solutions to meet your requirements. 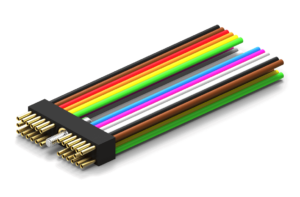 From over molded back-to-back cables to multiple connector “3D” system harness assemblies, the team at Ulti-Mate is ready to make your concept a reality. 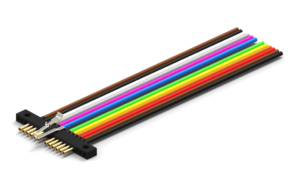 When your system requires more than a standard Microminiature connector, we offer custom interconnect solutions to meet the most rigid performance requirements. Our development time from concept to production is unequaled. We are tooled on more Microminiature configurations than anyone in the marketplace. When custom tooling is necessary we are equipped with the latest in design tools to speed your concept to reality in weeks rather than months. Let our experienced team design and build your next interconnect solution. By submitting this form, you consent for your details to be sent to Ulti-Mate Connector, Inc and its authorized partners in order to respond to your inquiry. Depending on the location of the organization, your personal information may be transferred and processed outside of the European Economic Area.